Make your own tasty snack sticks, right at home with this Valley Sportsman Original Tangy Snack Stick Seasoning Kit. Contains enough seasoning to flavor up to 20 lbs. of meat. 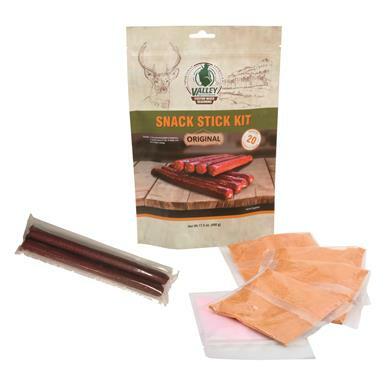 Know exactly what goes into your meat and make delicious, DIY wild game snacks like a pro.